Many refugees are not familiar with our ingredients, spices, or cooking methods. The vast majority were taught to cook over an open fire, and there is a steep learning curve for them when learning to bake and cook in the United States. 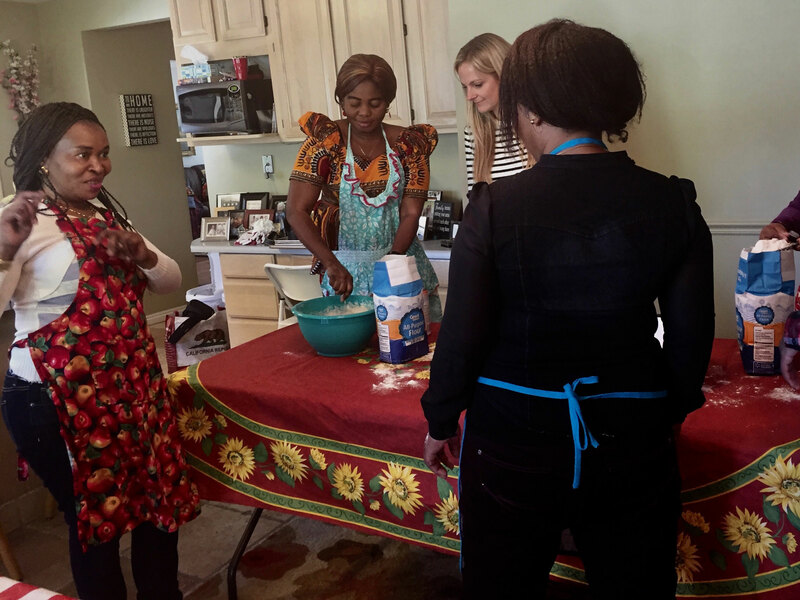 So on a beautiful Saturday afternoon, we held our first Congolese women’s baking class. 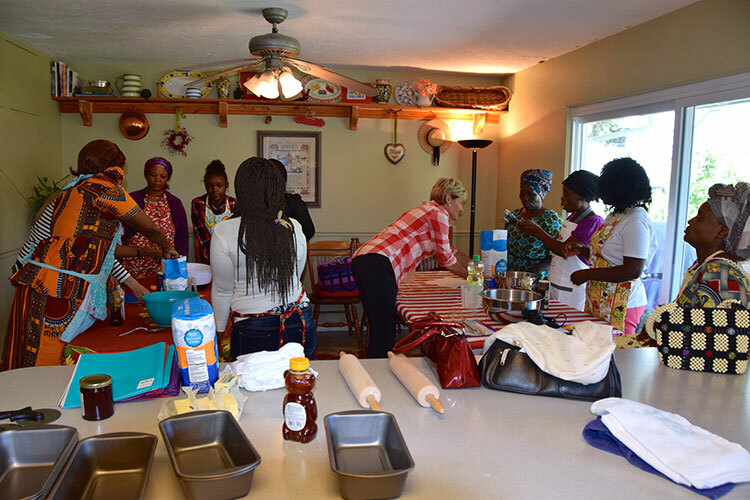 My 15-year-old daughter and I, along with a few other women, taught our refugee friends how to make homemade bread and dinner rolls. We had such an amazing time together! We shared stories and laughed and cried while the bread rose and baked. It was a special day, and everyone went home with a loaf of warm bread and buttery rolls. We also gave each refugee woman a bag of ingredients, cooking utensils, measuring cups and spoons, and bread pans. (Many of these items were donated by neighbors and friends in our community.) We made sure they had everything they would need to make bread at home for their families. Next time we meet, we’re going to tackle homemade pizza and spaghetti sauce. One of the ladies at our cooking class was a newly arrived refugee named Madu. She had arrived here three months previously with her 9-year-old daughter. Madu’s husband was killed in the Congo by rebels, and while she was fleeing, she was separated from one of her other daughters, who was 4 years old at the time. After reaching a refugee camp, Madu searched for her missing daughter for several years. She never found her daughter or learned anything about what happened to her. As Madu told her story, she hugged me tightly, and I felt a deep love for her. These women have a way of helping me remember the true meaning and purpose of life. They have experienced unspeakable tragedy, sorrow, and despair, and yet they still find joy. There is light in their eyes and joy in their countenances. They teach me about the power of hope and forgiveness. I am so grateful that our paths have crossed.